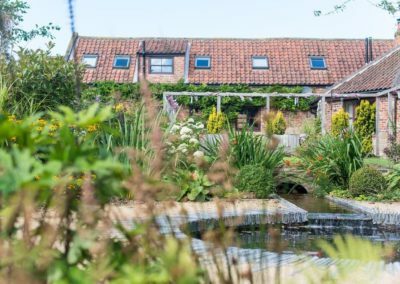 Following an extensive barn conversion, Andrew and Jan invited Eves and Lewis Landscape Design to create a beautiful garden that they could enjoy all year round. 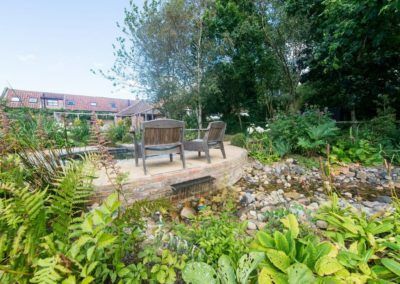 As well as providing our own design service, the Country Gardens landscape team often collaborate with other local designers. 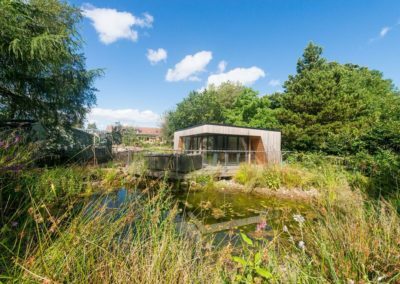 We were pleased to be invited to work on this exciting project that combines wild spaces, formal design and a place for the owners to be self-sufficient. 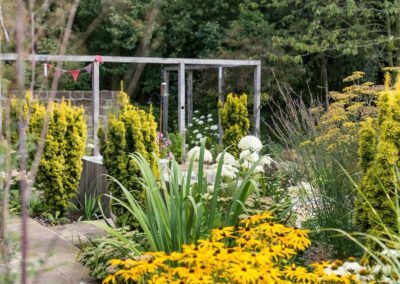 An appreciation for wildlife meets formal planting and a passion for self sufficiency. We were soon aware that there was a substantial wildlife population living in the existing garden. To provide as much protection as possible our landscape team planned for the careful movement of that wildlife when required, and ensured that sympathetic planting continued to support their habitats after we left. 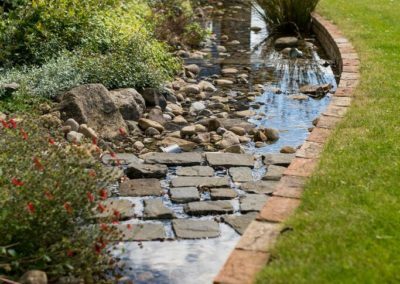 Built in three stages over a period of two years; a ‘wild’ pond was given the time to naturalise, complemented by a formal water feature that meanders through the three tiers of the garden; tying the design together as a whole. 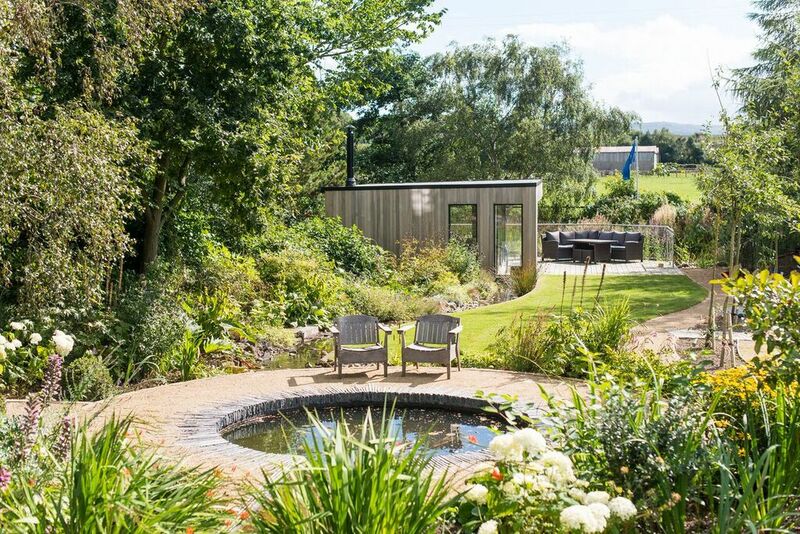 Real wood decking and a summer house complete with a mobile kitchen allow the couple to entertain and cook their favourite dishes with ingredients picked straight from their allotment area. 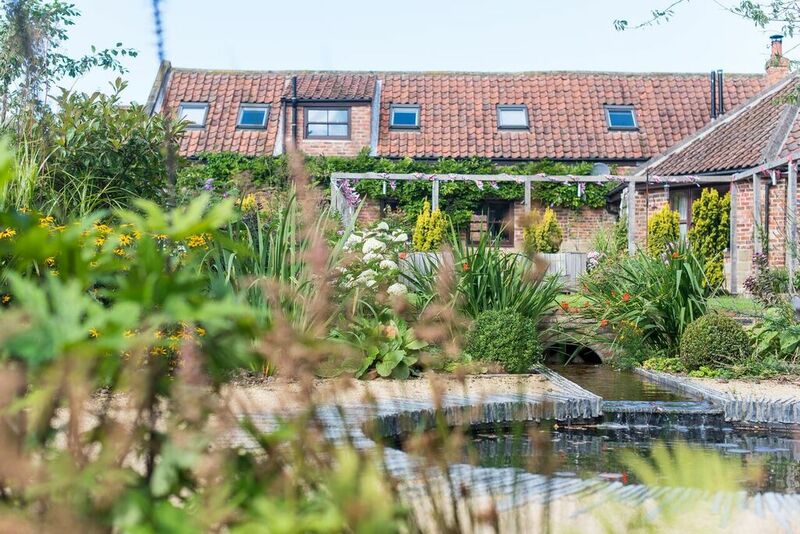 This old English vegetable garden – with a period glasshouse and a total of 140 French sleepers – certainly provides Andrew and Jan with plenty of room for the self-sufficiency they desired. 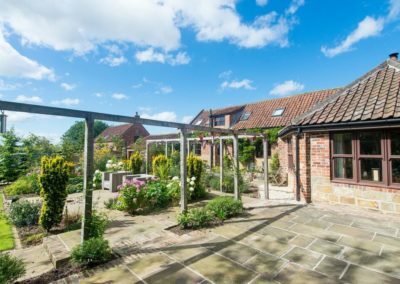 Natural materials in the form of the simple oak pergola and Indian sandstone patio completed the look in this large domestic outdoor living space. Built in collaboration with Eves and Lewis Landscape Design, this delightful but complex garden delivers exactly what was demanded in the original brief. The naturalised pond and wild areas give the owners relaxed and wildlife friendly areas, juxtaposed against the entertainment and working zones and period style glasshouse. 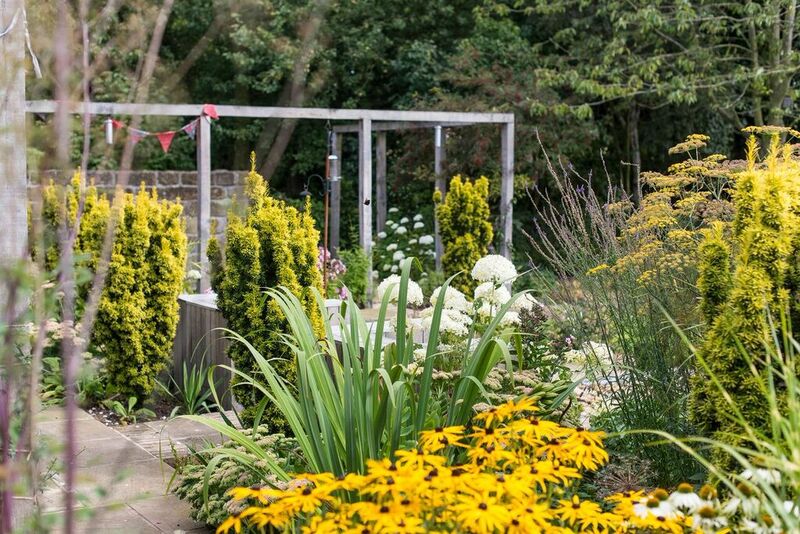 Like many of the homeowners we work with, a busy professional couple already had a clear vision for their new garden. 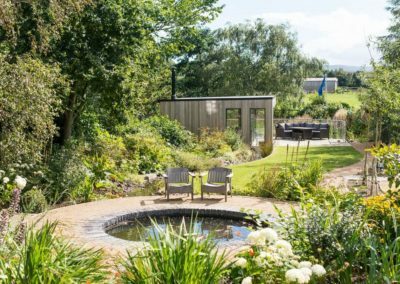 Having sketched their ideas into an initial draft, they invited the Country Gardens landscaping team to work with them in transforming their drawings into reality. 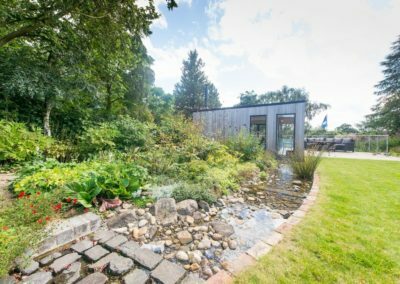 From initial design to final completion, Country Gardens can create a contemporary garden to fit around your busy working household. “I started my career in horticulture in a plant nursery at just 13. After studying amenity horticulture through my employer I gained NVQ levels 2 and 3 before attending Askham Bryan College specialising in landscape design. I graduated in 2001. 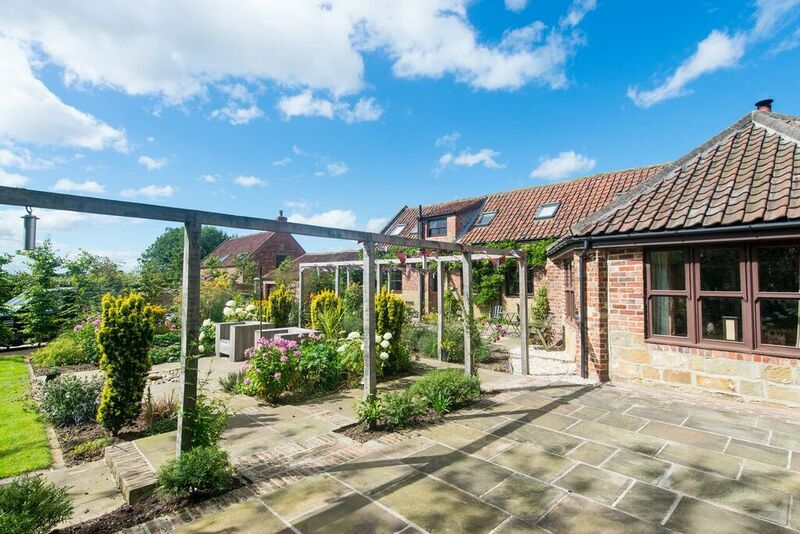 With Country Gardens I have a team of experts at my disposal to help you create your ideal outside living space. 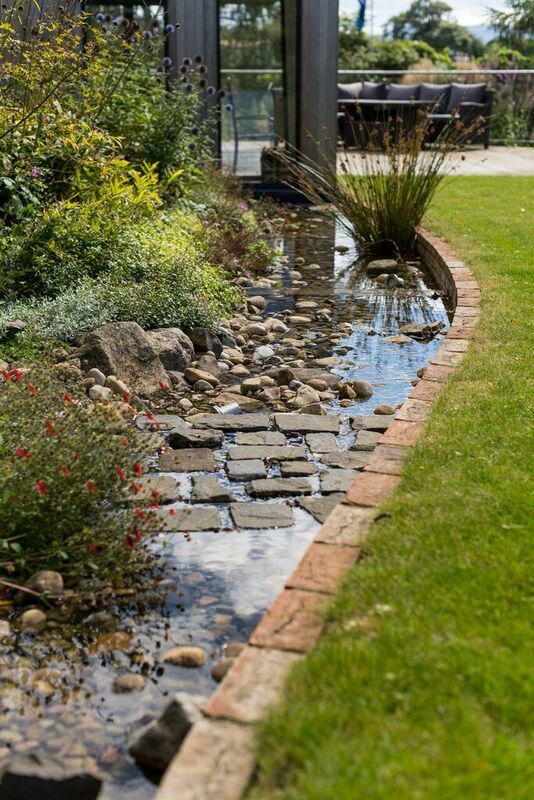 With years of experience between us, our group knowledge of plants, garden design and landscaping is second to none. We take great pride in creating beautiful surroundings that you can enjoy throughout the year.